Have you heard about Brittany Maynard, the 29 year old with brain cancer who is choosing assisted suicide on Nov. 1st? She fears that otherwise "I probably would have suffered in hospice care for weeks or even months. And my family would have had to watch that. I did not want this nightmare scenario for my family." This morning I read to her. For a whole year after she was diagnosed she kept a journal where she wrote down what she was grateful for every day. I had brought it from home, and with my dad listening on we reminisced about all the memories she had captured. She listened on with a smile on her sweet face and chimed in now and again with details of the day. Later in the afternoon the nurses helped move her into a wheelchair and we walked out to the gardens. It was a crisp fall day with bright blue sky. We had quite the little entourage, with my dad, brother and cousin (hobbling around on crutches! ), my husband with our 8 month old in a baby carrier and our two year old speeding by on a scooter. There were geese in a nearby field and we all smiled and breathed in the fresh air. We had nothing but time. Later she said this was the best part of her day. In the evening I came back and as the PSW's got her all ready for bed, I set up the DVD player with the movie we had rented. We had our kleenex boxes ready as we'd heard it was a tearjerker. I pulled the couch in her room right up beside her bed, and we ate the chocolates she keeps stashed in her top drawer while we watched. We could hardly hear it, and even with the subtitles on the plot was escaping us. But the movie was really just as excuse to be together. Months ago we would have stayed up late, but today about 40 minutes in she suggested we finish it tomorrow. The nurse came in to help get her all set up for bed and I kissed her goodnight, we'll plan to finish the film tomorrow. How many days like this will Brittany Maynard rob her family of? Is this the "nightmare" she desires to protect them from? Yes today was a good day. They aren't always so lovely, and I know they will likely get harder. But I've come to see that the hard times are always interspersed with moments of joy - and those are what we need to hold on to. My sweet, wise mother has taught me, more in the last month than ever before, that we can be thankful no matter WHAT the circumstance. I pray for us, that God would continue to give us strength, joy and peace throughout this trial. And I pray the same for Brittany and her family - that she would not have a spirit of fear, but that she would be thankful for every day, every moment that God gives her on this earth. My life is good. Really, really good. My husband is a loving, kind, understanding, self-sacrificing leader in our home. My children bless me with smiles, laughter, hugs daily. Some would even call ours the perfect, million dollar family. I live in a country with many freedoms; I can choose to go to church, homeschool my children, and speak my mind without fear of imprisonment or worse. We have a roof over our heads, our bellies are full, and we're surrounded by supportive extended family. So yes, my life is very, very good...but it's not always easy. I don't need to tell you much about this part - because you probably experience it daily: Tired before you even wake up, you drag yourself out of bed to nurse your little one. Immediately the toddler wants your attention, and your husband is eager to start working. All you can think is "my life is so HARD.". Fast-forward to dinner-time, when you're doing your best to put a tasty meal on the table, but since your two-year old is helping there's sure to be flour on the floor and drool in the casserole (ignore that if you've actually ever been to our house for dinner!). Your phone rings and you know its going to be a conversation you don't want to have. Ignoring it, you go gripe to your husband about how you don't want to be humbled, and he just smiles at you and says "let's pray". You sigh and say "Okay...I just wish life wasn't so HARD!" the first to tell us that we need to be thankful in the midst of trials. That in fact, we should be thankful FOR the trials. It's biblical. 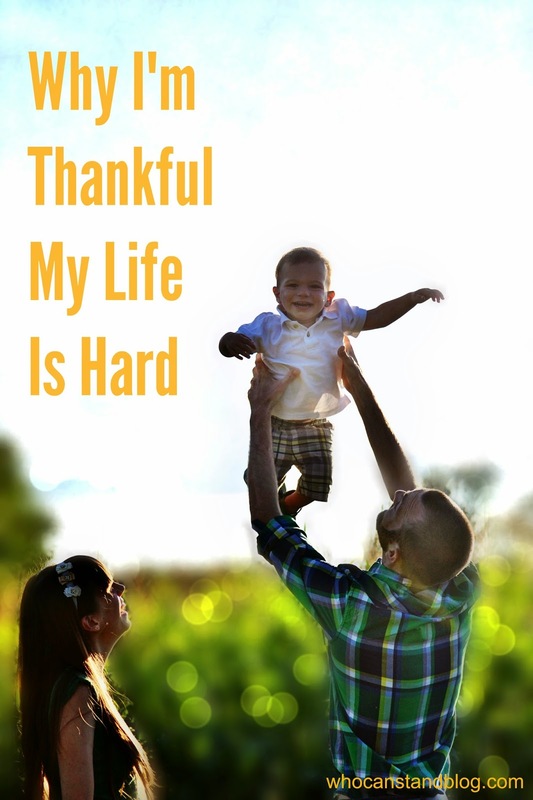 We are to "give thanks in all circumstances" (1 Thes 5:18) and to "consider it pure joy when you face trials of many kinds" (James 1:2), "always giving thanks to God the father for everything" (Ephesians 5:20). And I knew that. I know that. But maybe, like me, you think this verse has to apply to some really big trial - not the little ones you face everyday. And maybe you think this verse needs to mean we pretend they aren't trials. That we must only think of them as blessings. Well let me tell you - life is hard and it always will be. Ever since Adam and Eve sinned, life was destined to be difficult. And actually, even BEFORE they sinned, there was work to do! And so we need to stop thinking that easy is the best. I think this is a lesson God has really been trying to teach me recently because it is coming at me from all different angels, and daily I see how it applies to life. Often the hard times, are the good times. We all know the mother who looks back fondly on the years when their children were young. Or the senior who tells stories of the Great Depression with a twinkle in their eye. Or the couple who shares how those years when they were dirt poor were the best ones. There is something about hard times that draw us closer to those around us, challenge us to grow in ways we don't expect, and make for the most memorable times. This truth has been a such and encouragement to me recently, and it really has started to change the way I think. So these days, though you'll probably still hear me say "Why does life have to be so HARD! ", I'll likely have a smile on my lips and a twinkle in my eye when I do. Mom's Night Out Review - Is It Good Art? When I first saw the trailer for Mom's Night Out I wasn't very impressed. I'm not generally into comedies, and this one seemed more silly than funny. 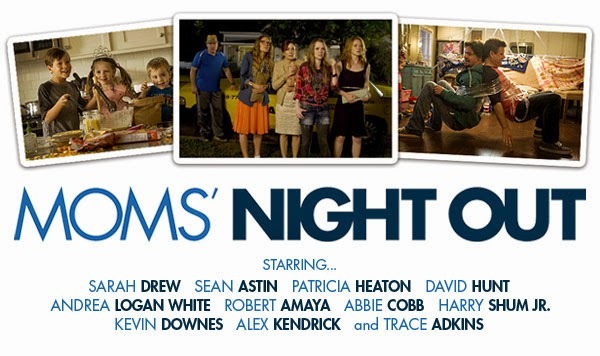 I had seen trailers for other mom movies that had me in stitches, but I couldn't say the same for Mom's Night Out. I wrote it off. But then I started hearing about it in the Mommy Blogosphere - women I knew who NEVER went to the movies, were planning to see it - and I became curious. It had a Christian message? It is a secular movie with Christian undertones? Or is it a Christian movie? I started to wonder if I'd want to check it out for myself. I made plans to take my mom to the movies to celebrate Mother's Day (which of course, is what the marketing team behind Mom's Night Out hoped I would do!). For the first half of the movie I was pretty disappointed. I had gotten myself pretty excited about this movie by the time it came to seeing it, and I had high hopes. I basically go to the movies 2-3 times a year, so it's a pretty big deal for me and I like to make the most out of these events. The first half of the movie didn't elicit the gut-wrenching laughter I was hoping it would, but this really picked up in the second half, and by the end I was glad I went - read on! She's over-stressed, her-kids-are-nuts-and-she-never-sleeps, yet-her-job-is-the-best-ever seems to be the theme of motherhood these days, with a new video popping up just about every week on Facebook. And though that is a message many need to hear - there are also dangers there. Are we making excuses for ourselves? Are we taking it for granted that children are normally disobedient and disrespectful? Are we scaring single people out of the idea of having children? Judging by it's opening scene, it looked like Mom's Night Out was going to be another one of these. And yet, when Allyson turns to Bridget and says "This mom thing - it's crazy hard!" I nodded in agreement - motherhood IS hard. But it is also SO GOOD. Often, as mothers, our expectations are "too high" in that they are OUR expectations - not God's, not even our husband's. I once read that God gives us enough time to do the work HE would have us do. If at the end of every day we still have 6 things left on our to-do list, perhaps it is because our priorities are not His. 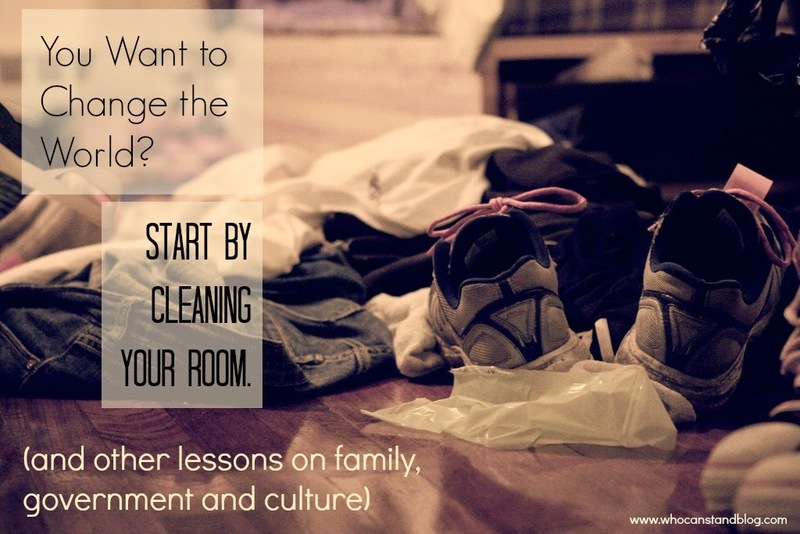 If you're feeling overwhelmed, like you can't keep the house clean, drive the kids to all their playdates, write two blog posts a week, and have a home-cooked meal on the table every day when your husband comes home ...one way to start re-prioritizing is by asking your husband what he would like your priorities to be. You might be surprised! And also - accept help when its offered! Oh how our pride does us in! I'm learning this more and more. As Christians, we are part of a FAMILY of believers. And we are meant to help one another. Let others help you! Even be so bold as to ASK for help. I think it is so great that Christians are making and acting in movies which are competing with Hollywood in terms of quality. From the trailer, I didn't know this movie was a "Christian" film (I'm still not sure it is - only people can be Christian, after all!). The acting was quality, the storyline was good, and the Christianity blended in obviously with the storyline. Really this was a movie about people who happened to be Christians - so you would expect their faith to be part of their life - and it was! I think that is all really great. How do we define "great art"? Is there an objective standard, or is beauty truly just in the eye of the beholder? When we are told to "do everything as working for the Lord" (Colossians 3:23), is it okay to intentionally create something mediocre? What does it mean to create something which is inconsistent with our belief system? I don't have all the answers, but these are the sorts of questions I'm really interested in thinking about. 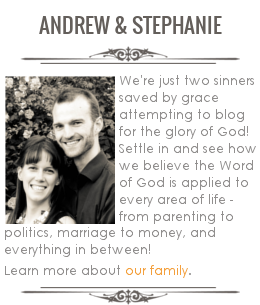 That's one main reason why we started this blog - to look at our culture in light of our Christianity. But they are hard questions - and most people are content to watch movies, listen to music and attend art exhibits without thinking too hard about them. Some might even say "let's not ruin this by taking it too seriously". The one standard I've been using recently to try and judge whether something is good for me to be interacting with is "Does this make me feel better about my God-given role as wife to my husband and mother to my children?" For example, does this book (perhaps a "Christian romance" novel - don't get me started!) make me feel discontent about my husband? Does this movie make me wish I was a career woman? Does this piece of art in any way hinder me in my role as wife and mother, in thought or in action? I wouldn't go so far as to say this is a perfect standard - but it's one that makes sense for me. And I know it's better than just mindlessly taking in whatever I see or hear, without thinking about it. All that to say - Mom's Night Out passed my "art test" in this regard. I came home filled with so much love for Andrew (because I saw many of his good qualities reflected in the husband in the film, but more than that I saw how much Andrew supports me in my role as mother) and with a renewed desire to take joy in my mothering of Jake and Elisabeth! I was encouraged that the work I am doing is important and to laugh even when things seem super crazy! What about you - what did you think of Mom's Night Out? And what criteria do you use for judging whether a book/movie/song is a good one? Anyway - on to the recipe! 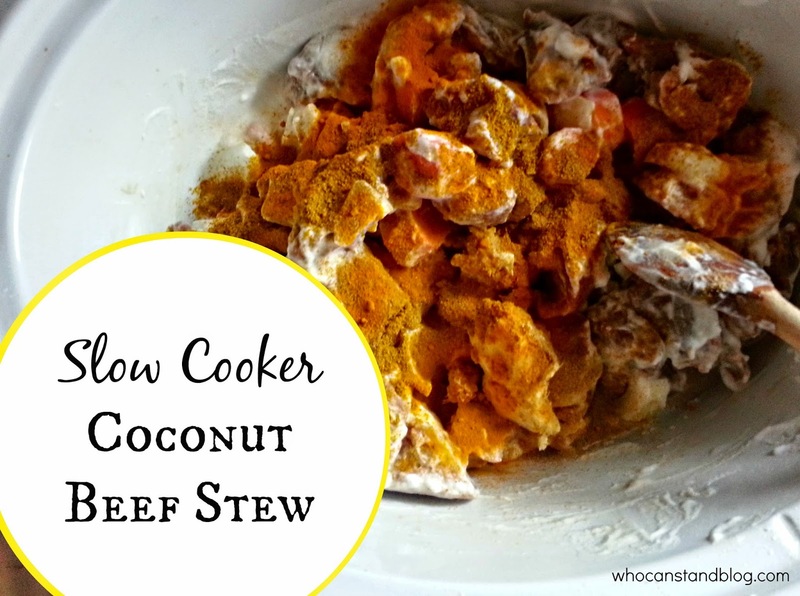 Coconut Beef Stew is as delicious as it sounds. It's ultra filling thanks to the coconut milk, and full of healing spices like cumin, tumeric and ginger. It's delicious, creative, and it's a simple as all get out. Add all of the ingredients to the slow cooker and give it a little stir. I cooked for 8 hours on low, but I expect you could to 4 hours on high. I served it over rice with a spinach salad on the side. This is my new favourite meal! (Except I say that every other day now that we're using our Build A Menu membership). Remember, use code MAY35 to get over 50% off - you will not regret it! If you're not familiar with Kevin Swanson of Generations With Vision Radio - you should correct that right now! :) He is one of the most dynamic speakers I know (it's almost an athletic activity for him) and he is spreading a counter-cultural, biblical vision for the family that we so need here in North America. He has an annual Family Economics Conference in the US, but we were blessed to attend a mini-conference up here in Canada recently. I wanted to share some of the encouragement we received there with you! To begin, the statistics are depressing: 3/10 parents consider the salvation of their children an important parental emphasis, 1/20 have ever tried family worship - and we wonder why young people are leaving the church in droves. I know - family worship can be intimidating and even seem weird if you've never done it or weren't raised that way, but there are lots of great resources out there - and really all you have to do is open up the Bible, read a bit as a family and then talk about it! We need to look for "islands of freedom". In 1 Corinthians 7:21, Paul tells slaves that if they can be free, they should be. These days the American and Canadian governments are encroaching more and more on the freedoms of their citizens, and we would do well to seek out areas where we have more freedom. Homeschooling is one of these. Christian Medical Sharing is another (especially relevant to those in the USA). 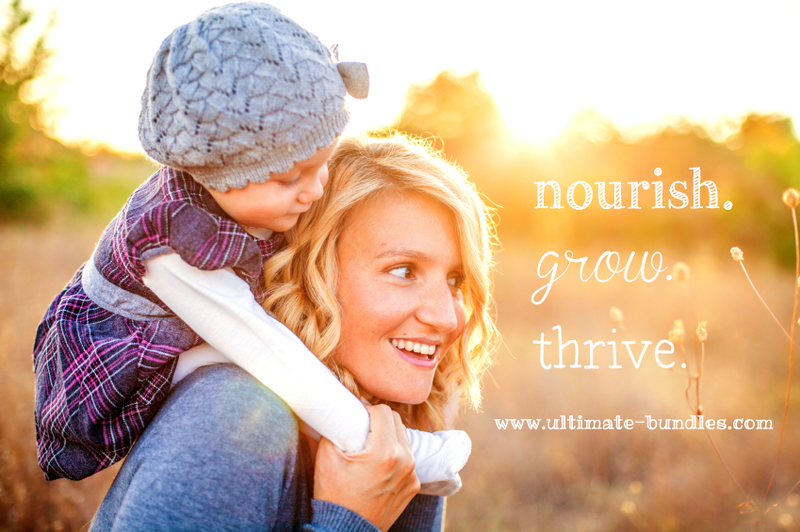 Having a family, home based business can be one. The internet (obviously this is used for bad, but it can also be used for good - like Kevin's radio show, Matt Walsh's blog, the Drudge Report - and many others who are working to speak truth). We aren't going to fix our culture in this generation. And we probably won't do it in the next either. We stand on the shoulders of our parents and we need to pass on our vision to our children. Kevin used the analogy of being in a spacecraft which isn't going to get to it's destination in your lifetime - so you need to make sure your children know what they are trying to get to and how to get there - and THEY need to be ready to pass that on to their children. One way our governments are destroying families is through major taxation on inheritance and property. It makes it almost impossible for parents to leave a good inheritance for their children, let alone their grandchildren! (Proverbs 13:22). An island of freedom in this circumstance is the opportunity to pass on your "inheritance" to your children before you die as gifts - which are not taxed up to a certain amount. This is what Kevin Swanson is doing with his children. When everything collapses (our culture, our economy, our governments) we need to be like Job, who said "the Lord gives and the Lord takes away. Blessed be the name of the Lord". We won't despair because our hope wasn't in money or material things, it is in the Lord. And we know that everything we need to know to build a godly culture can be found in the Bible (Kevin spoke specifically of the book of Proverbs). You'll often hear parents saying that they want their daughters to grow up to be independent. Maybe that's why they are sending them off to University, or encouraging them to travel alone, or don't want them to be in any hurry to marry. However, what is it you want them to learn to be independent of? And does the Bible teach that independence a virtue? The only place the word "independent" is used in the Bible is 1 Corinthians 11:11 "Nevertheless, in the Lord woman is not independent of man nor man of woman". Ironic, isn't it? Throughout scripture a woman is either under the authority of her father or her husband (with the exception of widows, who are encouraged to marry again if they are younger). Nowadays most parents are happy to have their daughters dependent on the state - and those same parents sure don't want their daughters depending on their parents for too long! If you had to choose to send your children to public school or popular media - you'd be better off sending them to public school. If your children are more influenced by movies, music, and celebrities (even Christian pop culture), than they are by their parents (and last week's sermon) you should be concerned. Homeschooling is not a guarantee that you will have their hearts - you need to invest both quality time AND quantity time in them. You don't need to know when your children "became Christians". Your job is to be a faithful farmer: plant the seed, water the seed, water the seed, water the seed.... Regeneration is what happens under the soil by the Holy Spirit. Knowing they once "prayed the prayer and asked Jesus into their heart" is in no way a scriptural assurance of salvation. The very essence of education (as defined by the book of Proverbs) is faith and character - these should be our emphasis throughout all our children's education. All teaching should have three parts: 1. knowledge (book learning) 2. life application 3. worship (fear of god, confession of sin, accountability). So there ya have it - I hope there was something there to encourage or inspire you to a greater vision of godliness for your family! Remember, don't take our word for it (or Kevin Swanson's for that matter), instead search out the Bible for your own answers! You've been putting it off, I know. That's what I would be doing too - waiting until the last minute for someone to really convince me. So here are 10 reasons, you might not have considered, why you really should just head on over, buy the bundle now, and give a sigh of relief that you didn't let this opportunity pass you by! You are welcome to buy the Bundle and split it up. Is there a book you think your mom would love? One you know is perfect for your best friend? You can give those specific books to them (hello Mother's Day!) and just delete the files off your computer. Better yet - you can give a WHOLE bundle to your mom! Your best friend wants one too? You can buy three bundles for the price of two! That means each bundle is only $19.98. Did you know that you have the option to own all the e-books in a KINDLE version? For an extra $10 you'll get all the PDF files, AND the Kindle files. Pretty sweet, right? This specific package of books and bonuses will NEVER be available again. That means you have something like 12 hours to buy it. You might as well just do it now. I know I've talked about the bonuses before, but really? They're fantastic! Mineral make-up, Phosphate-free laundry detergent, sweet little girl dresses, greeting cards, e-planners ...the list goes on and on and on! You can basically learn to do anything homemaking related: sew, cloth diaper, make ice cream, teach your children to read, memorize scripture, budget...Am I missing anything? Check out the list yourself. Change your mind about the whole thing? 15 day risk-free return policy - so really what have you got to lose? You can change your mind if you buy it, but if you miss it today - it's gone forever! Just in case you missed this: the cost versus the value. The Ultimate Homemaking Bundle includes nearly $900 in products and resources but is less than $30. It's not every day you find that much bang for your buck. Feel overwhelmed by the idea of owning that many e-books? Just think of it as having a reference library when you need it. Run out of things to do with your toddler? Oh yeah, I have an e-book for that! Want to make some meals for the freezer? Recipes at your fingertips! Looking for a new devotional to do with the kids? No need to head to the bookstore! You get the idea, right? Winners of our e-book giveaways! 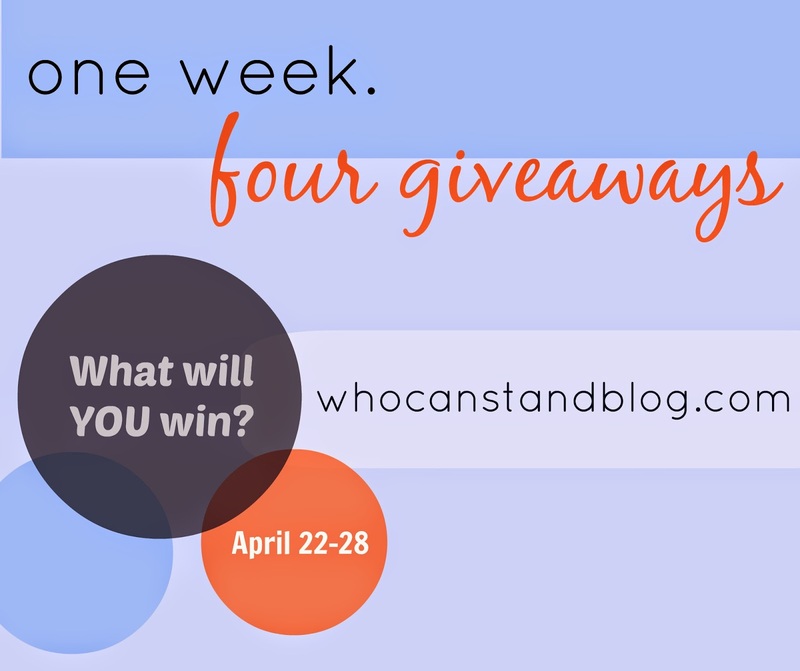 Contact whocanstandblog@gmail.com within 7 days for your prize. My Simple Healthy Life - Cathy F. L.
The Homemaker's Guide to Creating the Perfect Schedule - Tracy D. M.
More Than a Holiday - Tracy D. M.
Intentional Marriage - Renee J. **This post is part of 4 days of giveaways celebrating The Ultimate Homemaker's Bundle** $900 worth of resources, products and e-courses for less than $30! "The biggest threat to marriages in our modern world is daily neglect. When we stop trying, we start drifting apart. We get caught up in the busyness of life. We get selfish. We get thoughtless." She issued herself a challenge to wake up in the morning thinking "What can I do to bless my husband today?" You shouldn't be surprised to hear that this simple (but not always easy) decision, not only changed Crystal's marriage radically - but herself also. And from that was born "Intentional Marriage: The Art of Loving Your Husband". Made up of 31 daily readings - it is designed to start you on a lifetime habit of blessing your husband and strengthening your marriage. For each day there is a specific challenge - a way for you to intentionally love your husband. They aren't costly and most of them don't take more than a few minutes - but you might have to step outside your comfort zone, and you'll probably have to let go of your pride. Your marriage is worth it, wouldn't you agree? We're so happy to be giving away a copy of "Intentional Marriage: The Art of Loving Your Husband" today. But my sincere prayer is that any woman reading this will be inspired to look for new ways to bless her husband. Crystal's e-book is full of inspiration for this - from the really practical (cook his favourite food, flirt with him, send him an encouraging verse) to the attitude changing (brag about your husband, focus on forgiveness, assure him of your devotion). Will you start loving your husband more intentionally TODAY? This giveaway (along with all the previous ones this week) will end Sunday night - so be sure to enter and share today! The winners will all be announced here on Monday. You can get Intentional Marriage, along with $900 worth of other resources to help you as a wife, mother and homemaker, by owning The Ultimate Homemaker's Bundle today! Check it out now because after Monday it will be gone! We're all trying to give our children a better understanding of Christmas, right? Last year I feel like I floundered through December - not sure what the say about Santa, how much emphasis to put on pretty Christmas lights, and how to really explain why it IS such a big deal that a little baby boy was born in a manger 2000 years ago. I know there are a million different opinions about what you should or should not do when celebrating Christmas, and I've heard of a few ways people try to give Jesus more of a central spot in the festivities (throw Jesus a birthday party, for example) - but none of these have really grabbed my attention. They still seem so small in comparison to the overwhelming secular influences surrounding Christmas. What I really wanted was something that would permeate the whole Christmas season with the scent of Christ. Enter: More Than a Holiday by Scott and Sarah Nichols. What an AMAZING resource. It is truly impressive how much work has gone into this book. It was no surprise when I found out that Scott has a Master's of Divinity - it is obvious that a lot of research went into the historical and theological explanations throughout the e-book. Now don't panic - we're not expecting you to work through a master's thesis with your kids! Each day includes "A Closer Look" reading, designed to give parents a greater understanding of the background and also valuable for older children looking to dig deeper into the subject. Is the Christmas Story Real? Why is the Christmas Story Important to Us? This is not your average e-book, and it's not some thrown-together ideas about the meaning of Christmas. It's well-written, thoughtful, creative, and meaningful. It's such a wonderful opportunity to incorporate the truth about Christmas throughout the whole month of December. Your kids are sure to look forward to the creative and engaging ways that More Than a Holiday takes a deeper look into the Christmas story, and its likely to become a Christmas tradition for years to come. This giveaway (along with all the others this week) will end Sunday night - so be sure to enter and share this week! The winners will all be announced here on Monday. Come back tomorrow for our third giveaway celebrating The Ultimate Homemaker's Bundle! Linked to Fellowship Friday and Faith-Filled Friday! I wake up without a specific plan for the day. We eat breakfast and then I spend some time playing with the kids, waste time on my smartphone, maybe start a load of laundry and all the while have this vague idea in my head about things I should be doing. By the time everyone's napping I open up my laptop to write a blog post but get distracted by an interesting link on Facebook and just as I'm thinking about getting back on task - Elisabeth wakes up. I haven't figured out what's for dinner and now we're all set for a 5pm meltdown. By the end of the day I am super stressed because not only did I not accomplish any of the things I wanted to - I wasn't even intentional about the time I had with Jake and Elisabeth. Ugh. I set my alarm and wake up as planned per our daily schedule. I blog for a half hour before Elisabeth wakes up, and after nursing her I join Andrew and Jake in the kitchen for breakfast. We talk about what we both want to accomplish that day, and I make a list of my own on an index card - making sure I won't be overwhelmed and can have some good play time with Jake. Andrew and I check-in with each other at lunch and once I get both children napping I'm ready to hit the floor running for some really productive time! I had a meal planned and prepped in the morning so that's not in the back of my mind, and at the end of the day I feel calm, cool, collected and GREAT! It's amazing what small changes like a morning routine, to-do list or meal plan can make. And that is why I am so excited to be giving away a copy of The Homemaker's Guide to Creating the Perfect Schedule as part of our five-days of giveaways celebrating The Ultimate Homemakers Bundle! I love how Amy provides tactics for both the "Schedule Family" and the "Routine Family". Schedulers thrive when each item throughout the day (and week) is scheduled and the family knows what is meant to be happening most times throughout the day. Routine people (like me), are happy to have a prioritized list of things they'd like to get done that day (or week), and knock them off one by one, moving on to the next when the previous ones have been finished. Throughout the book, Amy shows an understanding that some of us approach scheduling differently, and provides resources, strategies and inspiration for all types. She emphasizes the need for schedules to constantly be in flux - something we've discovered from having changing routines throughout various stages: 1st trimester morning sickness, life with a newborn, summer, winter, and even seasons when I've been inspired to get up at 5am! In a section specifically on creating a homeschooling schedule, Amy speaks with the same wisdom, understanding and tact in knowing each family is different, but there are some principles that apply to everyone! She is spot on when she writes "No matter how you order the day, you must order the day!" Amy, a homeschooling mother of 7, provides an interesting and helpful look at ideas, schedules and tips that have worked for their family - but doesn't put any pressure on the reader to do things just like she does! Reading The Homemakers Guide to Creating the Perfect Schedule is really like having a wise friend sit down with you and help you come up with what will work best for YOUR family. Indeed, I wish I knew Amy in person! For anyone who desires to thrive in their role as homemaker, Amy's book is a great resource! The Homemakers Guide to Creating the Perfect Schedule is available for only $4.99. I am sure you will agree the investment will pay for itself quickly as you'll come away with some new inspiration and strategies towards creating a structure which works for YOUR family and brings more peace, efficiency, and joy to your home. This giveaway (along with all the others this week) will end Sunday night - so be sure to enter and share this week! The winners will all be announced here on Monday morning. Come back tomorrow for our third giveaway celebrating The Ultimate Homemaker's Bundle! If any of the following describe you - listen up! All this (and much much more) will be yours when you add this year's Ultimate Homemaking Bundle to your library! 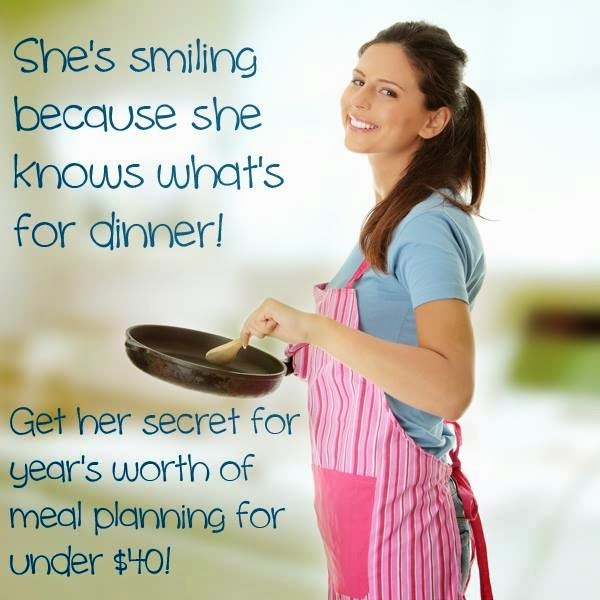 It's got all the practical resources and inspiration you need to thrive in your role as wife, mother and homemaker: 78 e-books, 2 audio presentations, 2 e-courses, 2 printable packs and over 200$ in bonus products (it's worth the price just for them!). What? $900 worth of resources and bonus items (3 free mineral eye-shadows? yes please! ): 78 eBooks, 2 eCourses, 2 audio files, and 2 printable packs PLUS over $200 worth of bonus products you'll really use! At only $29.97, it’s the best deal on homemaking eBooks anywhere on the web. But it will only be available for six days. So grab yours before it's gone! What are the Ultimate Homemaking Bonus Offers? In addition to all the amazing eResources, this bundle includes the best bonus offers it's ever had. These deals are worth over six times the price of the Ultimate Homemaking Bundle. To celebrate the Ultimate Homemaking Bundle we're reviewing and giving away four e-books this week, each on a different day. You can still enter yesterday's giveaway, and come back tomorrow for a chance to win! Disclosure: If you buy the bundle through our links, we will receive a small portion of the sale - and we will really appreciate it - THANK YOU :) Our sincere prayer is that as you'll have blessed us, the resources and products available here will be a blessing to you and to your family. Here's the fine print and also answers to frequently asked questions about the bundle.